SKU: 4610. Categories: Clef du Vin, Clef du Vin Diagnostic Tool. 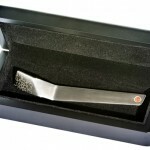 The deluxe clef du vin pocket tool in boxed case lets you assess the precise ageability of any wine. When dipped into wine, a patented metal alloy located on the tip of Clef du Vin replicates the key aspects of the natural aging process. The wine’s life will quickly mature along the natural aging curve towards total oxidation. Discover in seconds where your perfect taste is. Harsh, young vintages will become softer and more subtle. Effective only on wines with aging potential. Now you’ll know the ideal moment to enjoy every wine at its peak. Developed and tested over 10 years by one of France’s leading scientists and wine industry consultants and European Champion Sommeliers, Franck Thomas & Giuseppe Vaccarini. The Clef du Vin pocket tool has received wide acclaim throughout Europe and Asia and is now available in the U.S., for the first time, from Wine Accessories Unlimited. The wine’s life will quickly mature along the natural aging curve towards total oxidation. Discover in seconds where your perfect taste is. Harsh, young vintages will become softer and more subtle. Effective only on wines with aging potential. Now you’ll know the ideal moment to enjoy every wine at its peak. 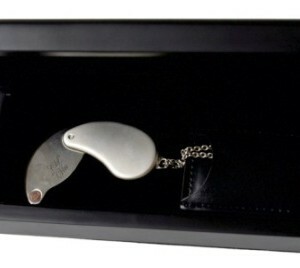 Clef du vin pocket tool is available in a beautiful display case from Wine Accessories Unlimited. 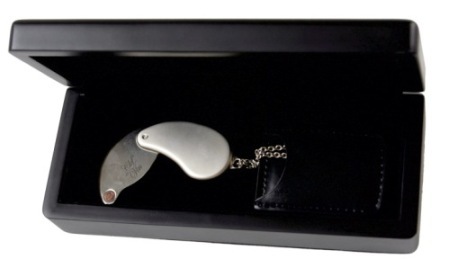 The deluxe Clef du Vin pocket tool lets you see the future of any wine Determines the ideal length of time to cellar wines Unique patented device, widely acclaimed in Europe and Asia Folds up pocket size with a handy carry chain Goes with you to restaurants, wine shops, wine tastings and traveling. Indispensable tool for the serious wine collector, winemaker, or wine salesman An essential gift for any wine lover Lets you manage your wine cellar like you have a crystal ball. 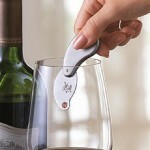 The Clef du Vin (wine key) is a calibrated tool that instantly reveals the ageing potential of any wine. Be the first to review “Clef Du Vin Pocket Tool – Boxed Case 831-722-6444” Click here to cancel reply.